Next week, on Saturday 28, make sure you don’t miss SQLSaturday Pordenone! Pordenone is the place where the Italian adventure with SQLSaturday started, more than two years ago. It was the beginning of a journey that brought many SQLSaturdays to Italy, with our most successful one in Parma last November. Now we’re back in Pordenone to top that result! We have a fantastic schedule for this event, with a great speaker lineup and great topics for the sessions. Everything is set in the right direction to be a great day of free learning and fun. In this session I will talk about security, with a general introduction to the topic and then I’ll go straight to demonstrate some of the vulnerabilities that attackers could use to take over your server. Yes, I’ll be demonstrating SQL-Injection attacks: SQL-I is still a top security issue, even if we’re in 2015. Everyone must be aware of the risks and take action immediately. I will also describe the security features available in SQL Server to lock down the server as much as possible, but the key concept I will try to drive is that security is a process, not a feature. If you want to find out more, join me at 12:00 PM in room S7. In this session I will try to promote one of the least used features in SQL Server: the Data Collector. It doesn’t have all the bells and whistles of the expensive monitoring suites, but it does the job pretty well. Things start to be painfully difficult when you try to extend it with additional collection sets, but the good news is that there’s an open-source project that provides a GUI to manage and customize the collection sets. 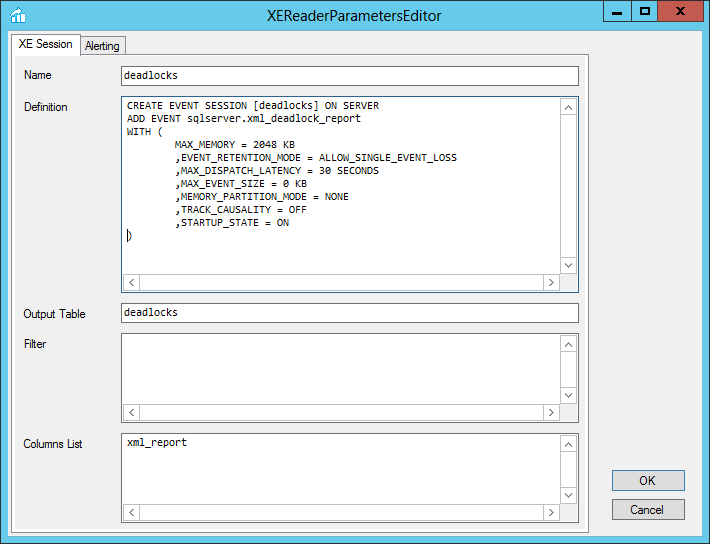 The project is called ExtendedTSQLCollector and it does much more than just adding a GUI to the Data Collector: it also provides two additional collector types to collect data from LOB columns (in case you’re wondering, no – the vanilla Data Collector doesn’t support LOB columns) and Extended Events sessions. I will also demonstrate a convenient way to centralize and extend the Data Collector reports to create a reporting and alerting solution for free. Sounds interesting? Join me at 4:30 PM in room S7. So, what are you waiting for? Register now and join us in Pordenone! Monitoring blocking and deadlocking hasn’t always been easy. Sometimes, the tools available in SQL Server are not as friendly as we would like them to be. Some are very useful for alerting, but don’t provide a simple way to capture additional information about the event. 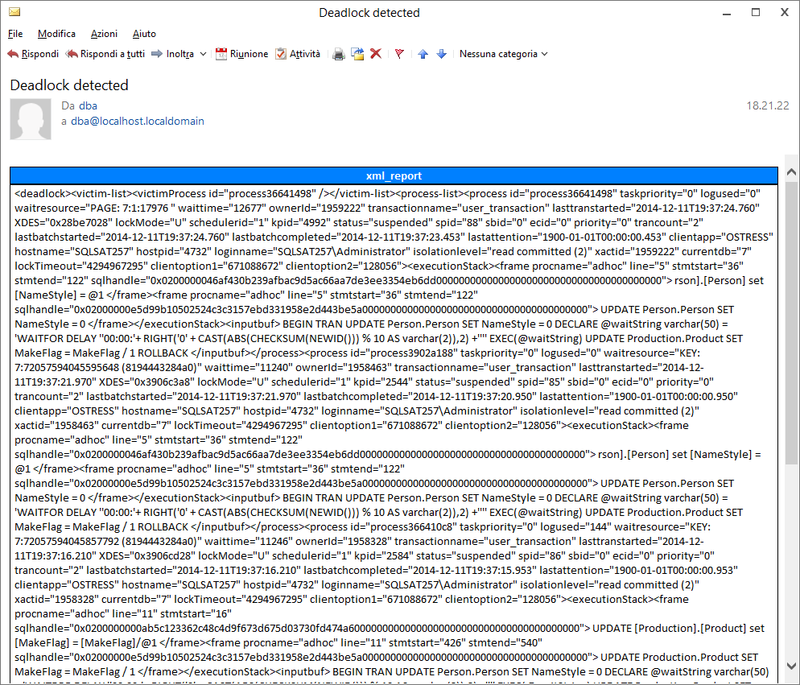 For instance, a simple SQLAgent alert for “deadlocks/sec > 0” is enough to shoot an email to the DBAs whenever a deadlock happens, but it doesn’t provide a simple way to capture the deadlock graph and include it in the email or save it to a destination table. Some other methods are very useful for capturing all the information we need, but don’t provide a way to fire an alert when the event is captured. 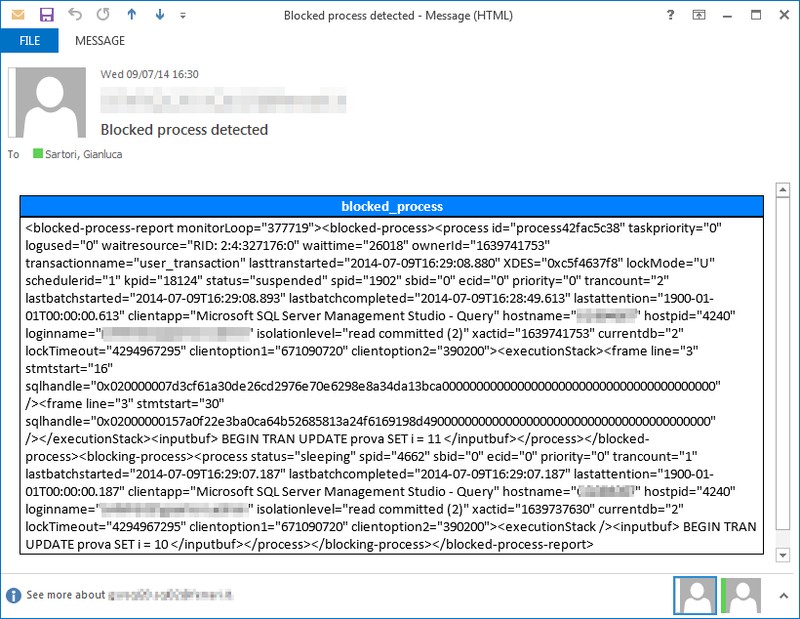 For instance, capturing blocked process reports with an Extended Events session is very easy, but firing an alert when the event is captured is not. In this post I will show you an easy way to combine monitoring and alerting using the cutting edge monitoring technology available in SQL Server: Extended Events. Extended Events are cool: they can capture events not available otherwise and they impact the monitored server much less than other capture technologies (e.g. SQL Trace). However, as far as alerting is concerned, they are still lacking a piece of the puzzle. In fact Extended Events don’t provide a built-in way to fire an alert whenever an event is captured. With SQL Trace we had Event Notifications that did exactly this, using a Service Broker queue. It would be great if there was a way to capture events with an XE session, store them to a table for later analysis and alert as soon as the event occurs. The good news is that a tool that can do that already exists and even better news is that it’s free and open source! 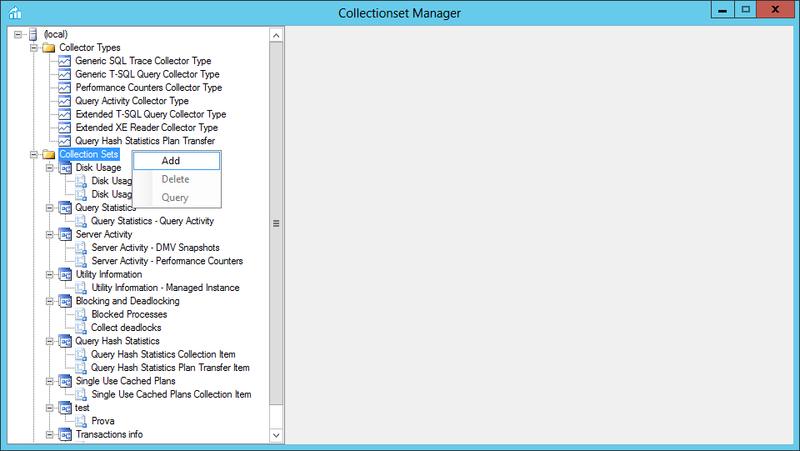 Its name is Extended T-SQL Collector. Extended T-SQL Collector allows you to combine Extended Events and Data Collector, with the addition of alerting for interesting events. All you have to do is download your copy of Extended T-SQL Collector, install it on your server and then set up a collection set for blocking and deadlocking. 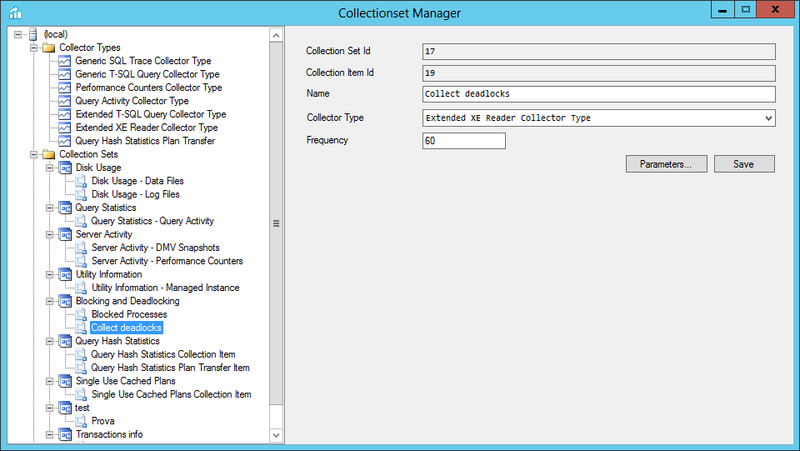 If you ever had the chance to play with Data Collector and tried to create a custom collection set, you probably have noticed that it’s not as easy as it should. 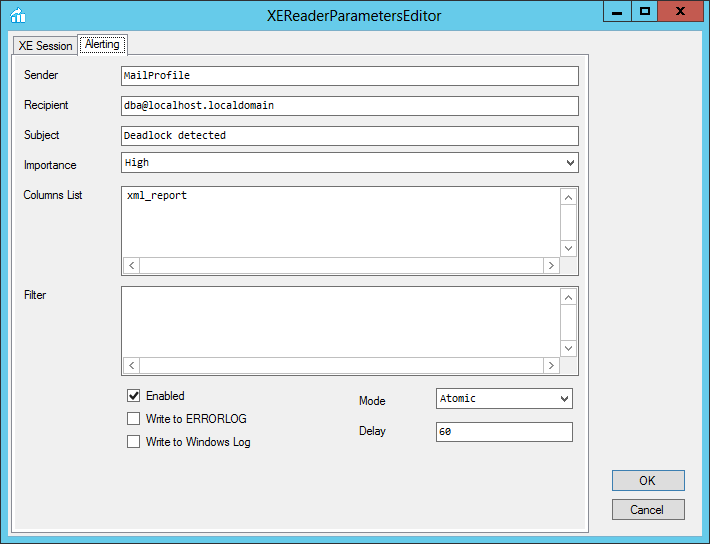 This part of the Data Collector is missing a Graphical User Interface and requires messing with XML. Nobody likes XML. If you do, be aware that you’re in a very small minority. 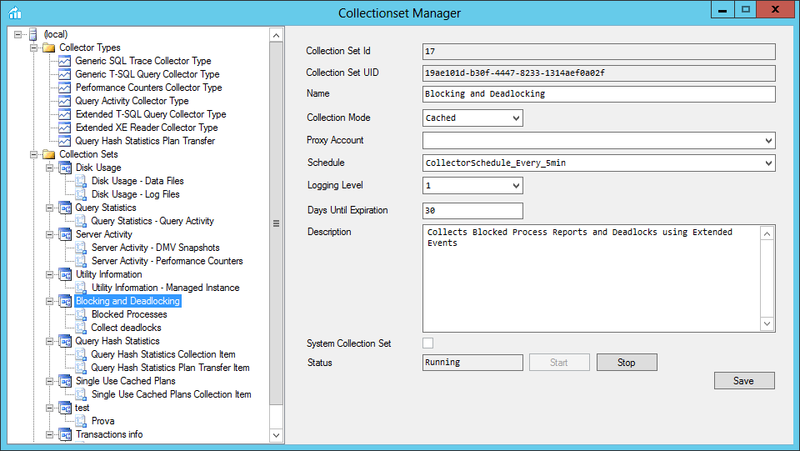 With Extended T-SQL Collector you can create a collection set to capture blocked processes and deadlocks using the GUI. 1. 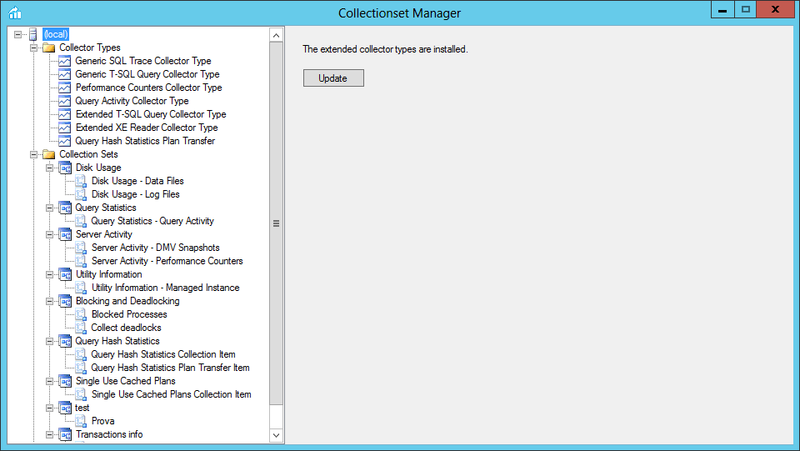 Start the Collectionset Manager and connect it to your instance. You also have to enter values for the output table (the name of the table that will hold the data in the MDW database), an optional filter to futher limiting the rows you want to save to the database and the comma separated list of the event session fields you want to add to the destination table. 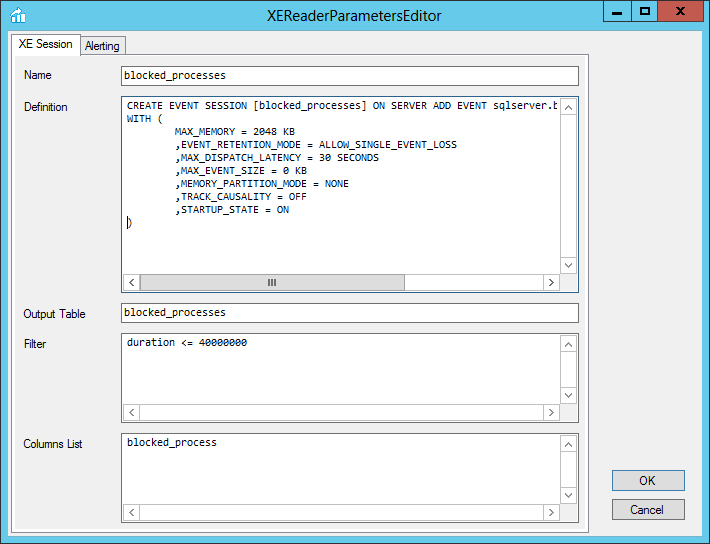 In this case, the filter is “duration <= 40000000" to capture the "blocked_process" event just once, because a new event will be fired each time the configuration option "blocked_process_threshold" and its multiples are exceeded. 7. Now click the “Alerting” tab and enter the information needed to fire an email every time an event is captured. Extended T-SQL Collector uses Database Mail, so make sure you have a profile that you can use for this purpose. Now hit OK to close this dialog and hit “Save” in the main window. Enter information for Output Table and Columns list as well. 10. Click the “Alerting” tab and fill the information for the email setup. 11. Now just hit OK to close the dialog and save in the main window. 12. Hit “Start” in the collection set window to start the collection set. Now that your session is running, you can be notified via email whenever blocking or deadlocking occurs. This is a sample of the email you will receive, containing the colums you selected in the setup. 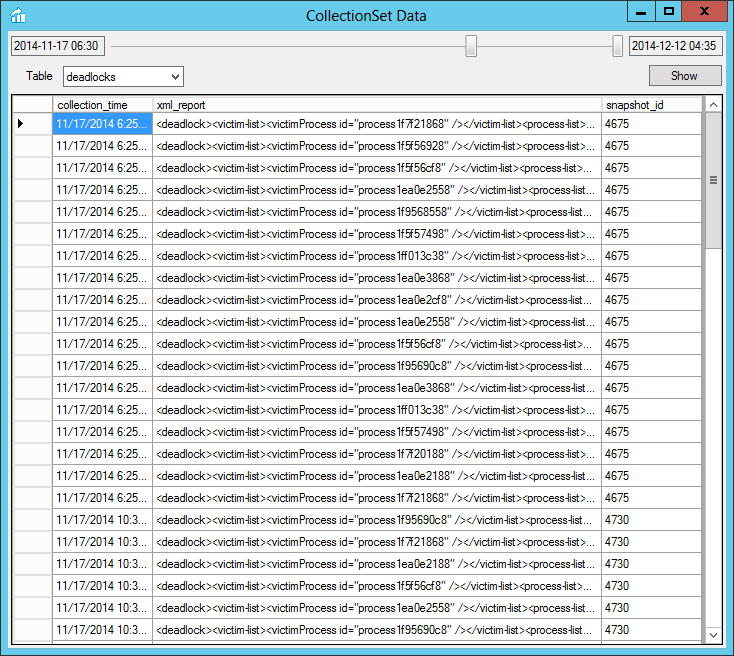 Extended T-SQL Collector makes monitoring and alerting easy. It uses Extended Events to capture information from your server and alert you when problematic events arise. Go download your copy! What are you waiting for?